Lady GaGa is known for her wild and eccentric fashion choices, so whenever she shows up to a concert or red carpet event there is always a sense of anticipation surrounding her arrival as people wait to see what wild costume she has on. Her unusual fashion trends have gotten so out of hand that they barely get mentioned nowadays, that is unless she is wearing something that really does warrant attention. 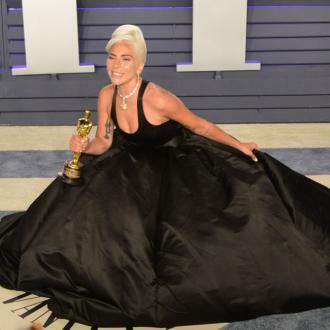 The Grammy-winning singer did just this when she appeared on stage at the Brooklyn Navy Yard on Sunday, where she held a launch party for her new album ARTPOP. But it wasn't to be ARTPOP's night after all, as the night was all about the flying dress, or the Volantis as Gaga called it. Gaga unveiled the outfit, dubbed the world's first flying dress, and had it fly her up tot he rafters of the enormous building. Designed by TechHaus, the Volantis is "essentially a vehicle," Gaga told the crowd and dedicated as a symbol of the future and a symbol for the youth of today. The floral-shaped craft is supported by a fiberoptic bodypiece, designed to fit around the curves of a female body. ARTPOP was released universally today (11 Nov.), but sadly no release date for the Volantis has been set.